If your workplace had a face, this would be it’s company portrait. Choosing Art to reflect a company is impossible to find…It needs to be created. 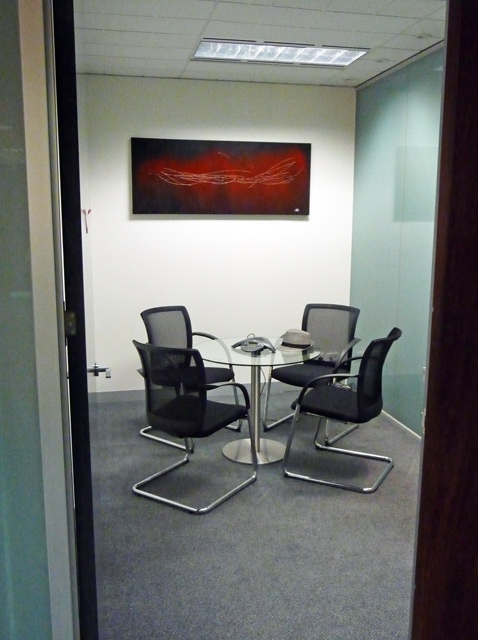 Here are some examples from the meeting rooms of Realestate.com.au that were commissioned for their workspaces. 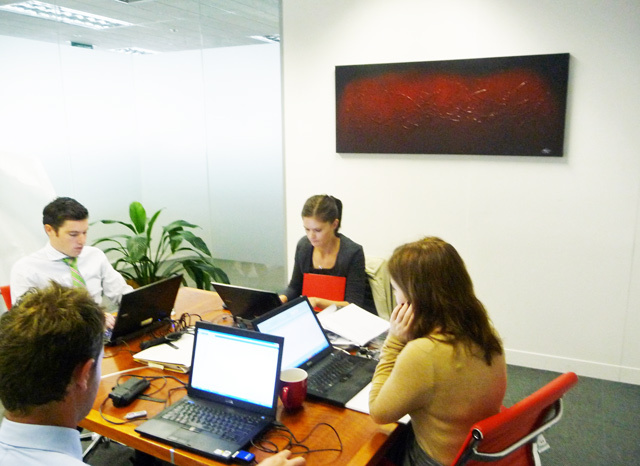 The colours favoured Red to tie in with their company colours & give the rooms a warm feeling. Together we came up with a range of artworks that made every room feel different. Lucky I love painting in many different styles. 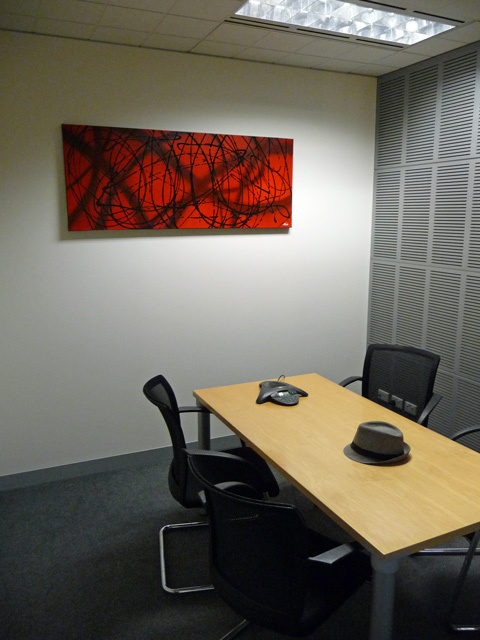 Most people think Corporate Art needs to show off, far from the truth. You need to remember that it’s full of people that want to feel good at work. Big. bold & colourless died with motivational posters. Now people what to feel classy, energised, funky, vibrant or relaxed. Good art does this. This entry was posted in corporate art and tagged corporate art. INTERIOR DESIGN ART – What is it? Who makes it?